The Simpson GS3 MX is the company’s take on the Enduro or “Crossover” helmet. It is lacking in refinement compared to other helmets. Note that the face shield is a $100.00 option at the time of publication! Simpson has been around since the late 1950’s, making a wide variety of safety gear. Things like fireproof suits, seat belts and helmets for karting, ATV racing, motorcycling and auto racing. The brand may not be as widely known in motorcycling as it is in car racing, but they’ve been making motorcycle helmets for some time. It’s my understanding that Simpson was once the “other” U.S. helmet manufacturer, but I’m not sure if the company still has an American manufacturing presence or not. The GS3 MX was manufactured in China, according to the label. 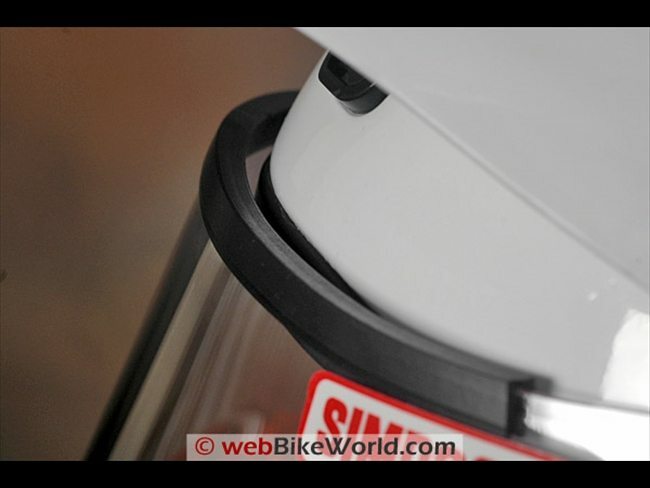 We tried on three different occasions to purchase a Simpson helmet of one type or another for a webBikeWorld review, but for a variety of reasons, we were never able to actually obtain a helmet, which may seem strange, but is neither here nor there at this point. So maybe it’s a shame that the first Simpson helmet we did manage to purchase is their new GS3 MX. I’m not sure what to make of it, because there’s just no getting around the fact that this particular example has what I consider to be some serious quality issues that I can only assume are consistent with the entire production run. Perhaps Simpson sent us a prototype or mockup by mistake — at least that’s what I’d like to believe. Because this example seems, well, unfinished is about the kindest word that comes to mind. I just can’t believe that any of the name-brand motorcycle helmet manufacturers would allow a helmet to leave the plant in this condition. Now I have nothing against Simpson. I don’t really care what name is on the label or where the helmet is made, as long as it performs to expectations, meets the safety requirements and offers a unique style or value for the money. But there are some pretty incredible motorcycle helmets for sale today with outstanding quality, selling for astoundingly low prices. To play in this market, a company really has to have its act together. All you have to do is take a ride down to your local motorcycle shop and take a look. Let me give you an example: consider the SparX S-07 we reviewed not long ago — the quality is superb, rivaling just about anything out there, and all for…what, 140-odd bucks or so? Rubber molded section along the upper right side of the chin guard appears to have been cut by hand with a knife. As of the date of this article, the Simpson GS3 MX is available only in “Matte Black” and the “Glossy White” shown here, so there’s not much to say about things like colors or graphics. The Simpson website does have photos of the GS3 MX in some colored graphics, but only the white and black are currently listed for sale. The helmet’s outer finish is marginal at best. There’s at least one section where it looks like the shell wasn’t sanded properly before the paint was applied and where they should have used some filler or something to cover up flaws in what I assume is the gel coat or whatever the shell is coated with prior to the paint layer. There are also several dust specks embedded in the paint. 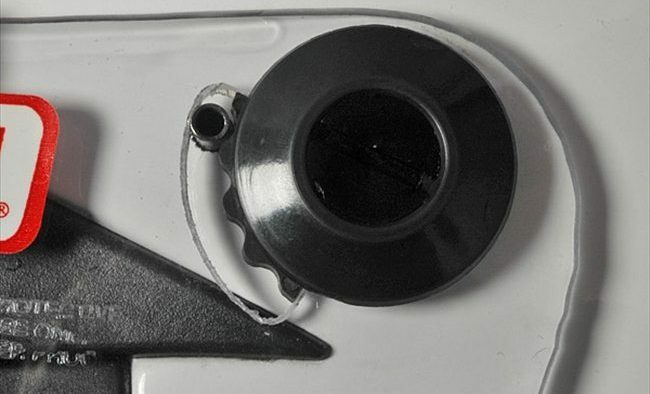 Believe it or not, there are knife cut marks where the rubber “bumper” on the front of the helmet on the upper part of the chin guard was apparently cut from the mold — see the photo below. It honestly looks like somebody hacked away at the thing with a pen knife to bring it into shape. This rubber guard is also crooked; apparently the mold itself is out of alignment. 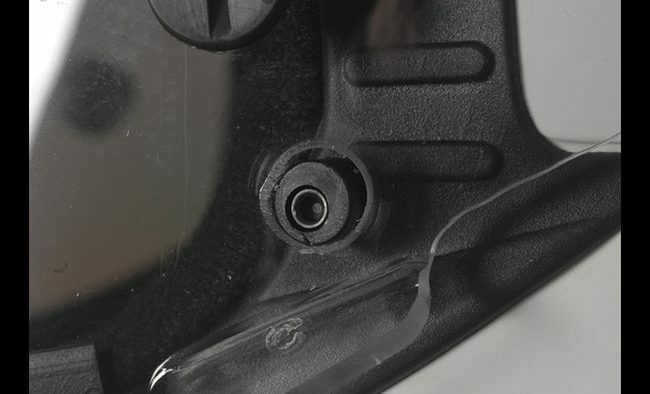 Where most helmets have a gasket that fits into a groove molded into the helmet shell, the GS3 MX has a crude two-piece rubber gasket that’s glued to the top and bottom edges of the visor. It gives the helmet a clumsy look and it doesn’t really do anything, because the visor doesn’t seal against the helmet — it sticks out about 1/8″ from the top of the eye port and it also doesn’t come close to meeting the bottom of the eye port. In fact, the visor is probably the crudest feature of the helmet and certainly nowhere near the quality of any other visor I have ever encountered. The kicker is that — believe it or not — the visor is actually a $100.00 option on the GS3 MX. That’s right — the helmet costs $139.99 and the visor is a $100.00 option, and it must be ordered at the time of purchase; apparently there’s no option for installing a visor later on, if you should so desire. Score: I can only rate the Simpson GS3 MX paint and finish quality as unacceptable (see the ratings scale in the summary table at the bottom of this page). There’s just no getting around it, unfortunately. We took some detailed close-up photos of these quality flaws, which are available by clicking on the thumbnails in the Lightbox below. The GS3 MX shown here is a size XL and my feeling is that it fits true to size. 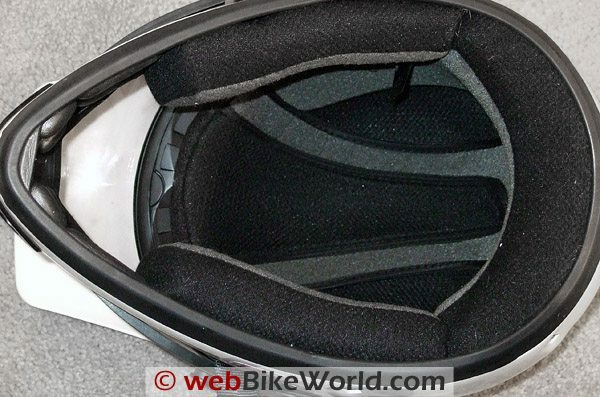 It has a round internal shape, but it’s not extreme, and tends towards a neutral fit (see the wBW Motorcycle Helmet FAQ page for information on head shapes and choosing a motorcycle helmet). I think it fits about like aKBC VR-3. I am able to wear normal length wire framed sunglasses with this helmet and the ear pockets seem big enough to fit speakers, if so desired. Even though the liner seems thinly padded (see below), the helmet’s internal shape is a good match for my head, making the helmet actually feel relatively comfortable. Score: I’ll give it a “Good” rating for shape and liner comfort. The Simpson GS3 MX in size XL weighs 1595 grams, or 3 lbs. 8-1/4 oz. This is a helmet that feels heavier than it is; in fact, I was thinking it would be one of the heaviest helmets in the collection, but it surprised me when we put it on the scale. 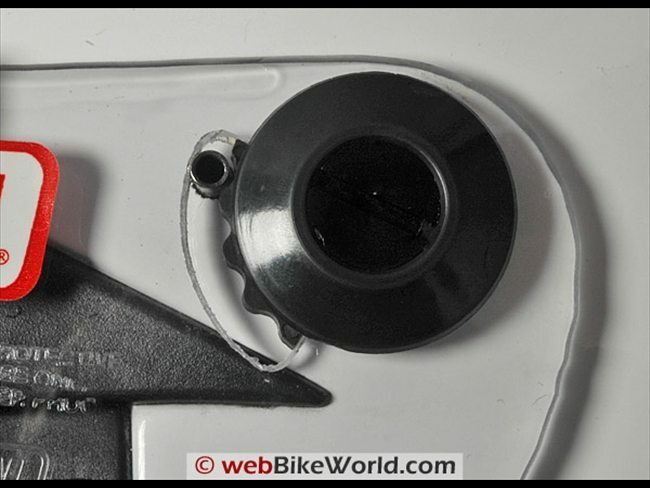 It’s in the bottom 1/3 of helmet weights for the 87 helmets we’ve reviewed as of this writing (see the wBW Motorcycle Helmet Weights page for a comparison). This puts it in the neighborhood of street helmets like the Arai Vector (review) (1583 g) or theAkuma V-1 Ghost Rider (review) in size large at 1591 g.
The Shoei Hornet (review) (Japanese version, size XL), also an Enduro helmet, weighs slightly less at 1543 grams, but the Arai XD Enduro weighs nearly 100 grams more at 1693 grams. The problem is in the way the weight is distributed in the GS3 MX; it feels very top heavy to me. The helmet seems to be very sensitive to cross winds and buffeting when riding, and the top heavy feel makes the helmet seem like it’s either bouncing around on my head or the mass is pulling me every which way to a point where it nearly feels dangerous. It feels like I’m spending more time trying to keep my head straight than I am concentrating on riding. 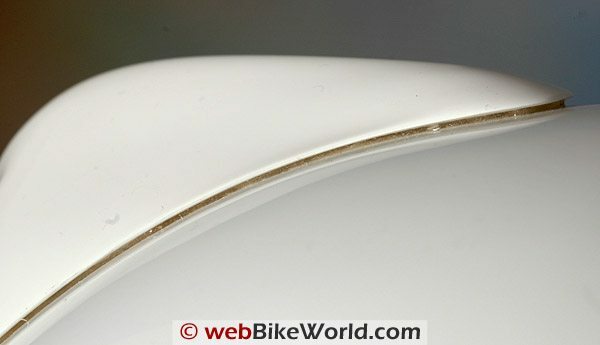 This may have something to do with the aerodynamics of the top sun shade, which does seem to cause more lift than other Enduro helmets I’ve tried. Score: I give the GS3 MX a “Good” rating for its weight but “Poor” for how the weight is distributed. The visor for the GS3 MX is a $100.00 option and must be installed at the time of purchase. It is the crudest feature of the helmet — it doesn’t seal against the eye port on either the top or the bottom (it apparently isn’t designed to) and there’s a big gap along the bottom that allows too much air inside. The face shield has rough, uneven edges that appear to have been ground or cut by hand — see the detailed photos above in the Lightbox. A hole on the left side that is supposed to close over a post on the helmet to hold the face shield down looks like it was hand drilled. The thick, square sectioned gaskets along the top and bottom are glued on, and the glue has squeezed out in some places. The entire face shield system is definitely the crudest thing I’ve ever seen on a helmet. I’m not sure how else to say it; Simpson will probably be upset over this but please — all they have to do is look at any helmet on the market and they will find an extraordinary difference. It is possible that this helmet is supposed to be used off-road only, but if that’s the case, there’s nothing on the Simpson website that indicates this is so. The helmet is both Snell and DOT FMVSS 218, according to Simpson, and I’m not sure why they would get both approvals if it was only an off-road helmet. 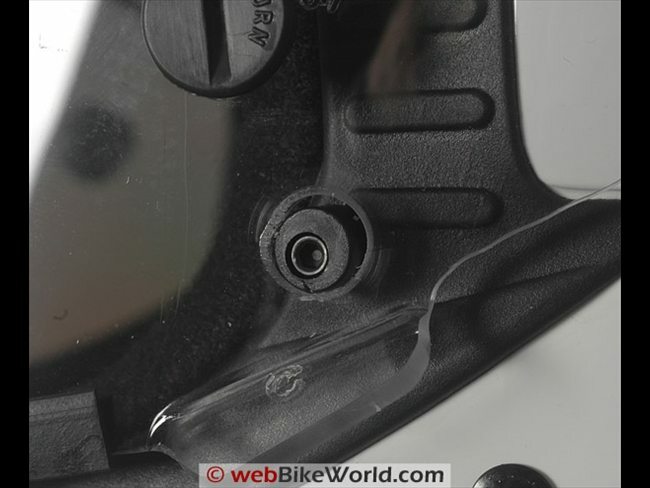 The thick black gasket remains in the rider’s line of sight when the face shield is raised. The problem is that the face shield just doesn’t raise high enough with the top sun shade in place. 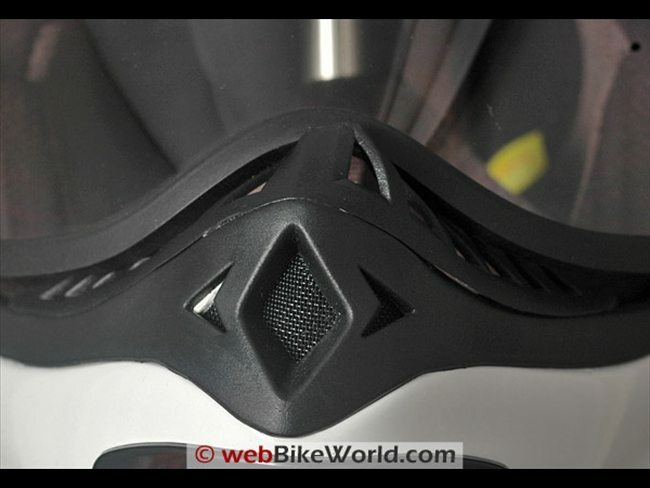 Score: The GS3 MX face shield system gets an “Unacceptable” rating from me. The GS3 MX liner has average comfort. The material isn’t the plushest I’ve seen, but it’s decent. The padding does seem thin in the back; I can press my fingers on the liner and feel the harder EPS foam underneath after about 3 mm of thickness. The liner is actually the highest quality part of the helmet. It seems fairly well made and has a precise fit in the shell. 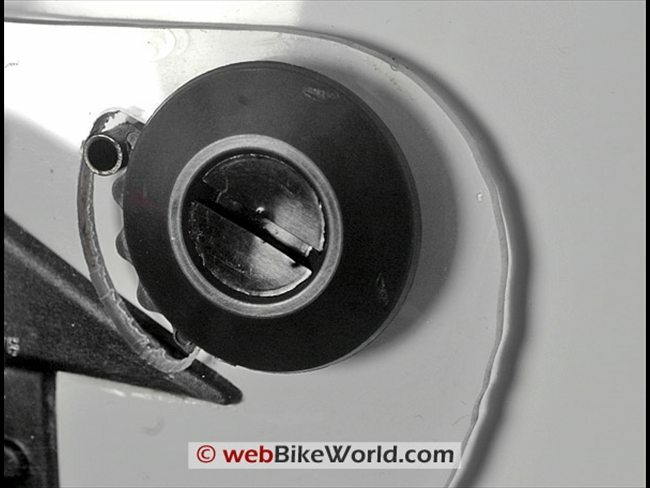 Although there is very little information about the helmet on the Simpson website, the cheek pads are removable; they hold on to the inside of the helmet with hook-and-loop fastener. 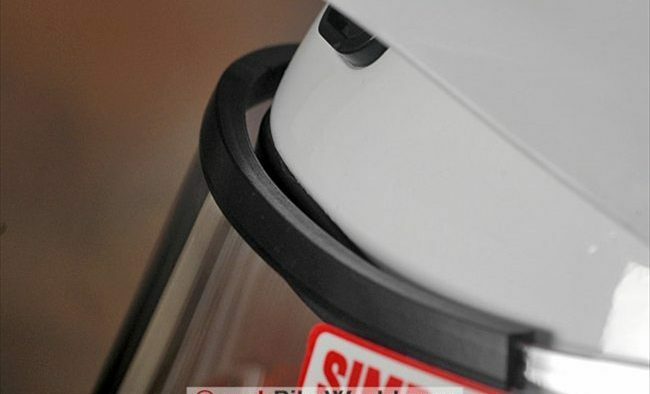 The cheek pads in this helmet have a label in back with the letter “L” and “30mm”, so it’s possible that they can be exchanged for thinner or thicker versions. It does not appear that the liner is removable. The cheek pads are shaped to allow a large ear pocket. The “bottom” of the ear pocket is right at the shell. There are vents cut through the shell just outside the ear pocket and I can feel my fingers through the vents. The only thing between the outside and the inside is the thickness of the outer shell wall. It seems strange to me that the Snell or DOT approval would allow a place on the helmet right at the ear where there is basically a hole that seems like it could easily allow something to pass through. But I’m not fully knowledgeable about the details of the safety specifications, and since the helmet carries a Snell and DOT label, I’ll have to assume that this is acceptable. Score: The GS3 MX helmet liner is about average in comfort and plushness. The ear pocket issue may bother some riders. The Simpson GS3 MX has two brow vents that open and close with simple horizontal sliders covering the vent holes. The holes match up against corresponding holes that go through the EPS foam in the liner, but there are no holes or mesh in the liner material, so the air sort of comes in but has a hard time getting on to the rider’s head. No matter actually, because plenty of air comes in under the gaps in the face shield. Too much actually — the air rushes in at any speed over about 35 MPH and blows around inside enough to make my eyes water. The chin vent is permanently open. It’s backed with a piece of mesh foam-like cloth, and plenty of air gets in here and up under the extended off-road style chin bar. Score: I’ll give it a “Good” for venting, but a “Poor” for the lack of air volume control, which is basically a fault of the design. After all of this, the GS3 MX isn’t as loud as I originally thought it might be. It’s loud, as these Enduro helmets tend to be, but I’ve experienced louder helmets. The openings in the shell outside of the ear pockets don’t help matters, and the noise is a sort of wind rushing sound coming from several areas around the helmet, probably caused by the shape of the front of the helmet and the top sun visor. Note that we always wear earplugs and an extra helmet liner when we ride. See the wBWEarplugs and Hearing Protection page for more information and a list of earplug reviews that we’ve posted on the site. Score: I’ll give it a “Good” rating for controlling helmet noise. The GS3 MX has a basic D-ring chin strap, which is a plus, but there’s no snap or keeper on the end of the loose section of the strap after it’s secured through the D-ring. The opposite end of the strap has a cheap-feeling O-ring that can be used to tuck the loose end through and hold it. 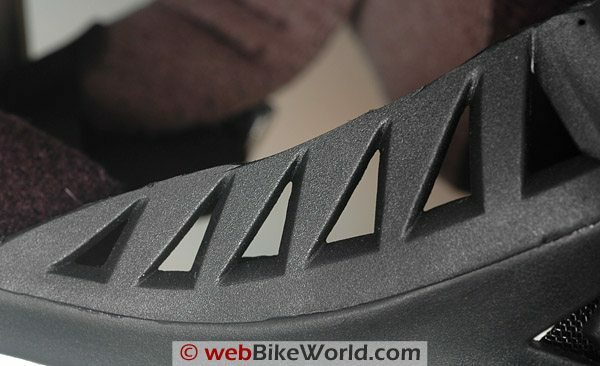 The chin strap padding is very thin and not much wider than the chin strap webbing itself. The helmet displays a DOT and Snell sticker on the back. The Simpson GS3 MX is probably the first helmet we’ve ever reviewed that we honestly have a hard time recommending. I’m shocked actually at the poor level of quality on this helmet. Now it is possible that it could be just this one. Maybe somehow a prototype got loose from the factory, but the helmet was ordered directly through the Simpson website as an anonymous purchase, so this helmet could have ended up in the hands and on the head of any rider. I’m really sorry Simpson, but that’s the way it is. There’s just no excuse for this level of quality when there are outstanding motorcycle helmets available at rock-bottom prices. 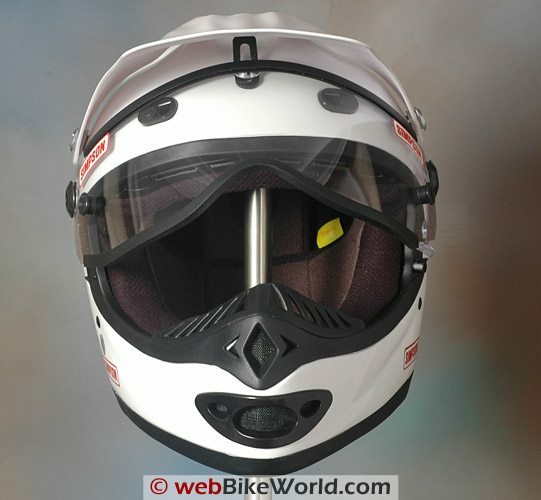 Manufacturer: Simpson Race Products List Price (2008): $139.99 + $100.00 for face shield. From “T.R.”: “I own the Simpson Gs3 also, and like T.K. (below) stated, it provides what is needed at a good price. Yes it has it quirks. From “A.K.”: “As an owner of the Simpson helmet I can’t really disagree with your overall findings. However, as an analogy, you are comparing rib eye steak to hamburger and finding that hamburger doesn’t measure up to the same standard as a good rib eye. Go figure. We have three choices for crossover off/on road helmets in the USA: the Simpson GS3-MX ($240) , Arai XD ($490), and the Shoei Hornet ($470). The Simpson is a fine working-man’s helmet and provides everything a rider needs (protection, ventilation, eye protection, sun visor, removable liner, and MX goggle compatibility) at an affordable price. It does not provide everything a rider may want (refinement, finish, or good sealing) but at 1/2 the price it’s hard to complain too loud. If you are running a KTM 990, BMW 1200, Triumph Tiger, etc. at prolonged high speeds the Simpson is the wrong tool for the job and you should spend the extra $ for the Arai or Shoei. If you are on a big thumper trail riding, racing enduros, commuting, and riding highways with an occasional freeway stint the Simpson is just the ticket to do it all. Take the money you save with the Simpson and spend a week on the western section of the Trans-American Trail.